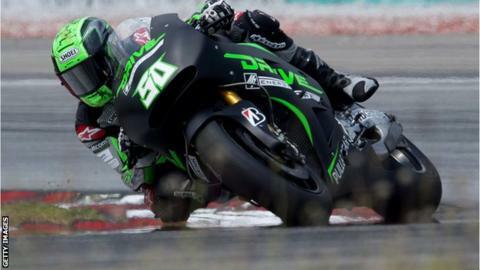 Eugene Laverty finished out of the points for the third race in a row as he ended the Argentina MotoGP round in 17th position on his Aspar Honda. The Toomebridge rider qualified 14th for the race but finished 43.4 seconds behind winner Valentino Rossi. "Unfortunately not the result I was hoping for but onwards and upwards," said Laverty on Twitter after the race. "Once again zero grip in the race. Missed a huge opportunity to finish top 10 but we'll work to fix this problem." Rossi secured his second win of the season on a Yamaha after world champion Marc Marquez crashed out while vying for the lead in the closing stages. Nine-time world champion Rossi overhauled Spaniard Marquez, with Italy's Andrea Dovizioso third. Marquez, struggling with tyres, clipped Rossi's back wheel when trying to regain the lead and went down.